Choosing the right real estate agent is one of the best ways to ensure your home sells quickly and for the price you expect. In the hands of the wrong agent, your house might linger on the market for weeks or months, which may even lead to the need to lower the price. But even when you understand the importance of choosing an expert real estate agent, finding the right one can seem like a daunting task. During your search, look for these qualities in your agent. That way, you can ensure the selling process is as simple, streamlined and pleasant as possible. The best real estate agents stay on top of an ever-changing market all the time. A good real estate agent will always keep in contact with you, letting you know about new listings, potential buyers and changes in the market. If your agent is inconsistent in their communications, that signals they are likely not the right person to get you the best deal for your property. To price your home appropriately, you need to find an agent who is familiar with your area. Otherwise, you might find that your home is priced too high — or that your agent is listing your home for much less than it’s worth. If you plan to sell a specialty property, such as a condo or an acreage, you will likely want to find an agent with expertise in that area. If a real estate agent has a single way of doing business, you won’t get the personalized experience that can simplify the sometimes arduous selling process. If you like to communicate by texting, your real estate agent should send you texts. If you like to receive a weekly update about your property’s selling potential, you should receive this communication on your timeline. If your agent isn’t willing to adapt to your expectations, find someone who will. Even the most well-maintained and reasonably priced homes might not get snapped up quickly. That’s why it’s important to find a real estate with a variety of creative ideas about how to sell your home. If your agent only has one method of selling and it fails, then you’ll be stuck with an agent who is already out of ideas. 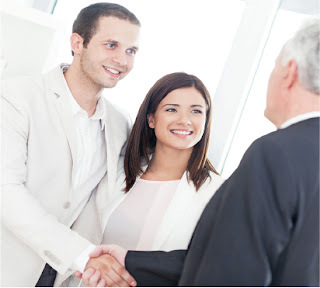 The real estate agent you choose should be willing to give you a list of satisfied clients. If a potential agent isn’t willing to give you a list of previous clients to call, it’s time to look for someone else.